359 Design is dedicated to exploring the possibilities and efficiencies embedded within the cutting-edge technologies of systems-build projects. Through recent projects and studies, we have positioned ourselves to understand the current trends and practices within the industry, yet we continually look for ways to push the established systems in new, different, and innovative ways. 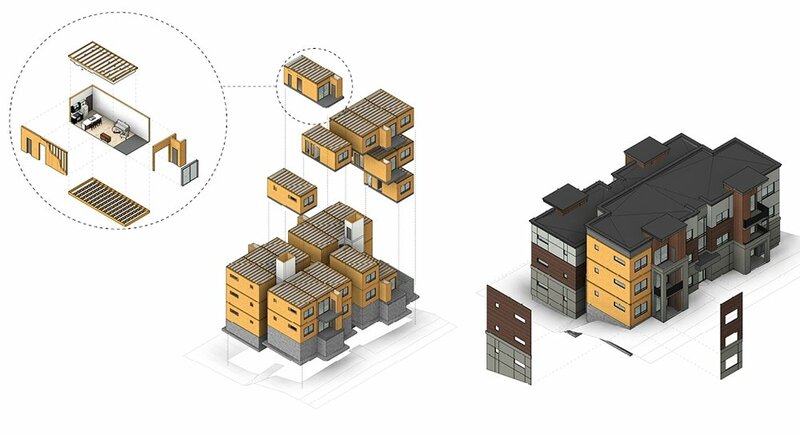 How can modular become more efficient and more streamlined yet at the same time go beyond the stereotypes of modular construction to create interesting, vibrant, distinct spaces and buildings? That is our pursuit. See our projects for more on our modular designs.